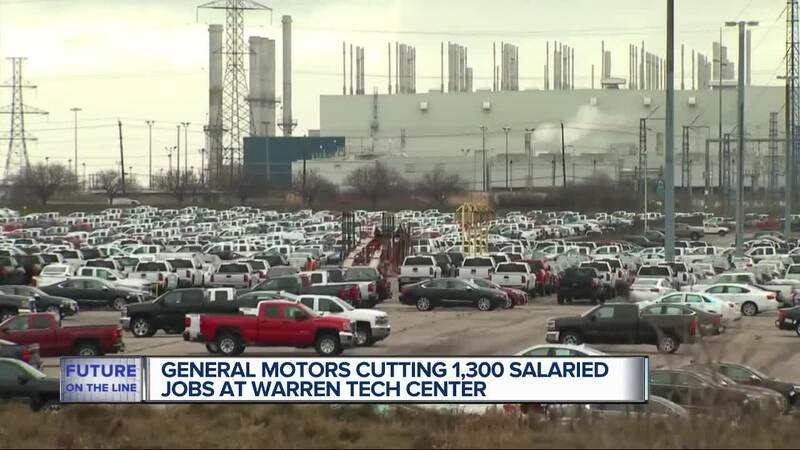 General Motors says they are eliminating nearly 1,300 salaried jobs at the Warren Tech Center.' The move is part of GM's announced white-collar job cuts. The move is part of GM's announced white-collar job cuts. The company filed a notice with the State of Michigan saying that they 1,298 jobs would be phased out beginning Monday, February 4. The affected employees will continue to be paid until April 9. However, the company says they employees are being told they are not to report to work and will not have any job responsibilities following notification that their job has been eliminated. GM says the employees are supposed to use the time to find new jobs, to participate in retraining and other transitional activities. GM says they are making the cuts now due to the strong economic conditions, making it easier for the cut employees to find new work. The company also says a number of companies have already contacted them about hiring workers.